YUM! What a great post, Hal! great story. 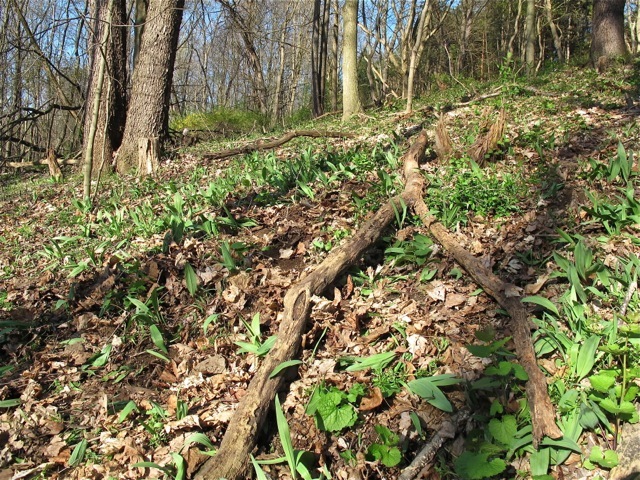 I have been foraging for ramps (leeks up here in the north) for 30 years. my ancestors gathered them as the first fresh veggie of the spring. I also gather morels. There is a butcher in Kane, Pa. Jack Bell of Bells meats and grocery that makes a KILLER leek sausage. Next time you are up there get some. Its worth serving at any resturaunt. I went into this new upscale local organic market in Erie to see if they would be interested in buying some – they didnt even know what they were. That’s wonderful you’ve been foraging for so many years. I’m hooked now. Do you have any idea why they’re also called wild leeks? 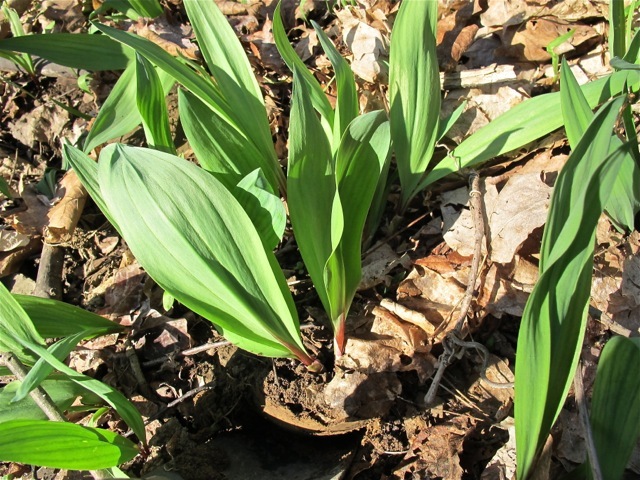 Ramps are as distinct from leeks as they are from onions or garlic. Might have to take a road trip to Kane to check out that butch and try some of those sausages! Thanks for the tip! Excellent! I went to West Virginia University and ramps are kind of huge down there, yet I’ve never tried them (heard of the NRA? The National Ramp Association?). They say ramps are good for the heart. 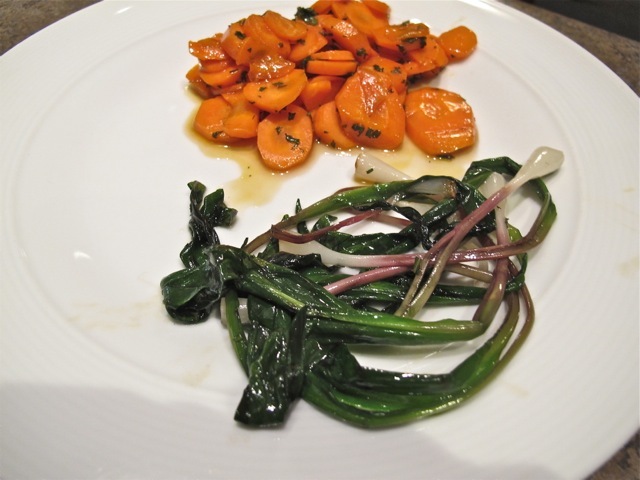 Thought I, as an only child, would try to knock my chef of a dad’s socks off with a delicious ramp surprise for Father’s Day and came across your site. I’ve had some nasty leeks in my day so I was proceeding with caution. Sad to say, looks like I may be directly out of ramp season come mid-June, but I enjoyed your site nonetheless. Cheers to you and your kitchen – keep up the good work! 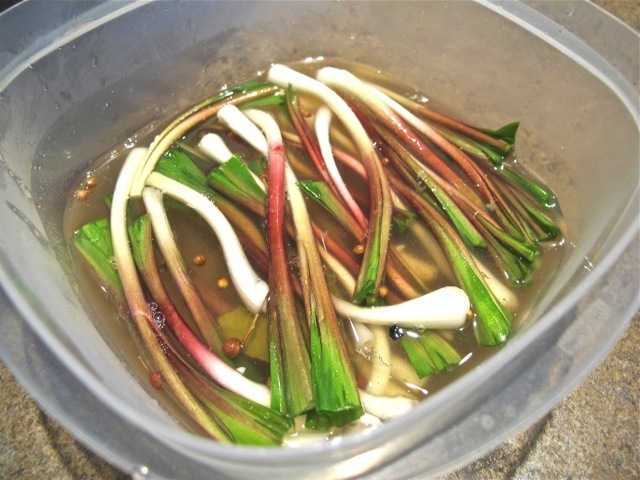 Ramps are reported to have a bunch of health benefits; I’m sure this was even more true when just about everybody ate a local diet–they are the first delicious vegetable of the new season! Sadly, you’re too late to impress your dad with a tasty ramp surprise this year–looks like you’re going to have to wait a year and make him a spring surprise! There is a bunch of local produce starting to come through the farmers’ markets now, so I’m sure you’ll be able to make him something wonderful.